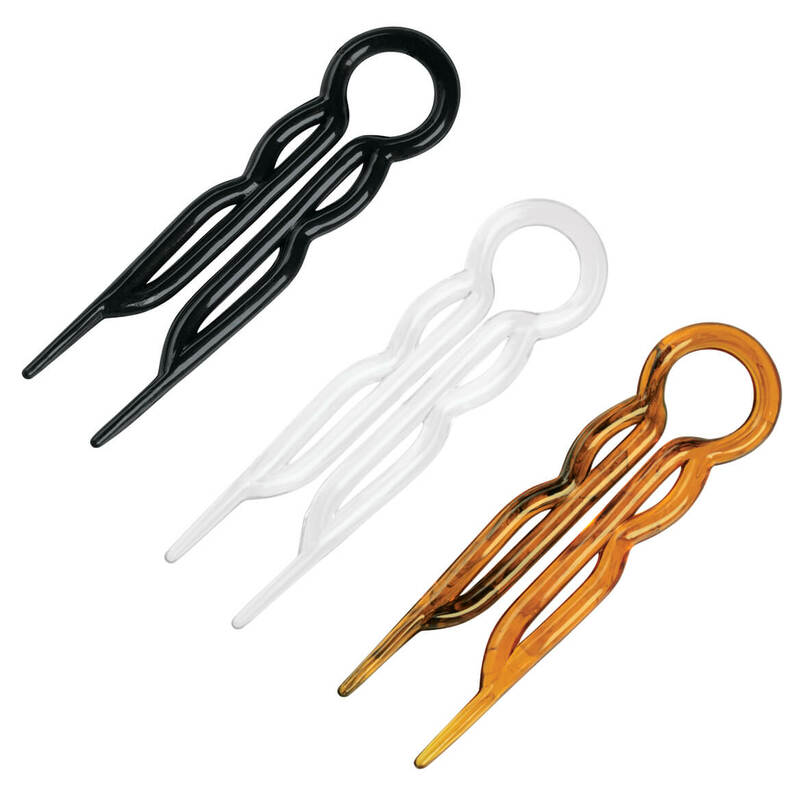 These pins help to hold your bedskirt in place. So helpful! Had already given a review but here it is again. This product is absolutely perfect for my needs. Simple but great design. Doesn't loosen, stays in place. Thank you for carrying this wonderful product! These pins were perfect to secure the bed skirt. Really liked these handy dandy pins!! We have our box springs on, "Cinder blocks" and our bed skirt was just too big but the "bed skirt pins pulled the bed skirt off the floor and stays in place perfect. I couldn't be more happy! 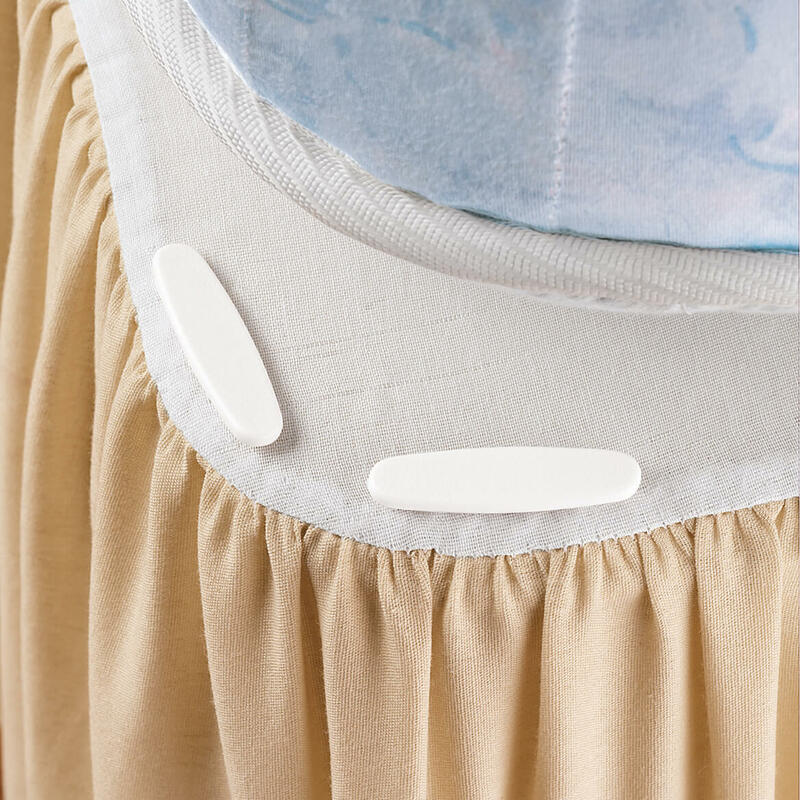 This is a great and easy way to shorten bedskirts that you purchase in a comforter set where you dont have a choice on the length of the skirt!! I use this product for holding my kleenx-book bag that I have to slip between the mattress and springs. It holds it perfectly. It was always hanging out and falling toward the floor. The pins hold it great. I cut the middle out of my bed skirt and hemed it about 4 inches where the skirt attached to the middle. Then I used the skirt pins to attached to mattress. It is great so when you need to wash the bed skirt just remove the pins and the skirts comes off easily. You can remove and replace without moving the mattress. I have ordered more of these pins to use on all my beds. These work great!!! I have tried other kinds with snap together pieces etc. but these by far work the best. I only wished I found them sooner. they keep the skirts in place when you make the bed. It's so frustrating when the bed skirt gets pulled up with the sheets when making the bed; I put a safety pin on one corner which helped a bit, but these pins are the perfect tools to eliminate this annoying problem. This is the perfect item to use if your fitted sheets come off the corners of your mattress! Also great for keeping dusters in place when moving the mattress. If used with your fitted sheets, you do need to insert them under the mattress rather than the sides or the pins will pull out. They do NOT pull out if used under the mattress. The pins are VERY sharp so you need to be really careful inserting them. But that is not a con; just an FYI. Just love this item. Don't know why i did not buy sooner. wish i had bought for all my beds. How did I live so long without these? Bought with no great expectation these would really hold a bedskirt in place -- especially under a high mattress and a dog that went in and out under the bed. Happy surprise! Bedskirt stays in place and pins are a snap to use. These pins help the bed skirt to stay in place. Very helpful. These are very good on anything that needs to be pulled up a bit shorter. Especially good on bed skirts. This is my second time to order these. Highly recommend them. These pins are amazing. They hold the skirt in place perfectly!!! Now I won't trip over it. This is a great product. I had to use them on the edge of the box spring as my bed shirt had an elastic top. As long as I placed them just below the wood frame of the box spring, they went right in. I did not have any problems with the pins bending. I don't know haw many times I've tripped over my bed skirt because the elastic had stretched so much. I'm almost 80 an I don't need to fall. I have trouble getting back up as well as break something. and keep the dog hair off the furniture. They work great. Keep covers in place. Better than anything else I have tried. Works great to keep bed skirt on mattress (even the Tempur-pedic). Need more than one package (of 8--especially for kingsize mattress. My bed skirts were forever dragging on the floor, leaving unsightly box springs sides exposed. I had seen adds for these pins but doubted that they would work. But they do! My bed skirt has remained firmly in place ever since I used the pins, and I wish I'd bought them long ago. Love these pins, work well for the purpose. A little difficult to push into the bed at first, but once started, go right in. These pins have kept our bedskirt from creeping up. The only negative is that the ones at the side of the bed tend to work loose & have to be re-anchored, but it's not a huge problem. These pins work very well to hold dust ruffles in place. I do recommend using more than one set on large king size beds. Be careful, if they do work out -- they are very sharp. Plenty pins to go around a queen-sized bed. They've been a major help! I have dust ruffles that are custom made and have to be pinned to the box springs because they are in 3 separate sections (one for each side of the bed) I used to use safety pins to attach them to the box springs - this was very difficult. One caution - for the type of application that I have, one set is not sufficient for a bed. It takes 1 1/2 sets to do the job right. Cute and easy to use pins, holds sheets in place but has a tendacy to pop out. Good idea - wished they worked better! Some of the bed skirt pins stayed in place and some fell out. I have put the pins on my mattress pad and they have fallen off twice. I think the pins need to be a little longer. I am still trying to get them to work. I purchased 2 sets of these for my queen sized sleep number bed with adjustable frame. I made sure to avoid the flex areas when poitioning the pins. The next day I found two of the pins on the floor and still am finding, on average, one pin per day on the floor. I just have to keep putting them back. For a regular bed that doesn't move, these work beautifully! I have used them for years on tradtional beds. I tried using these on my new Bed Skirt, the pins just kept popping out of the mattress, they are every sharp and I did't want to step on them. So I order a few more and it did it again, so they have been returned!!! Easy to use, but flimsy. 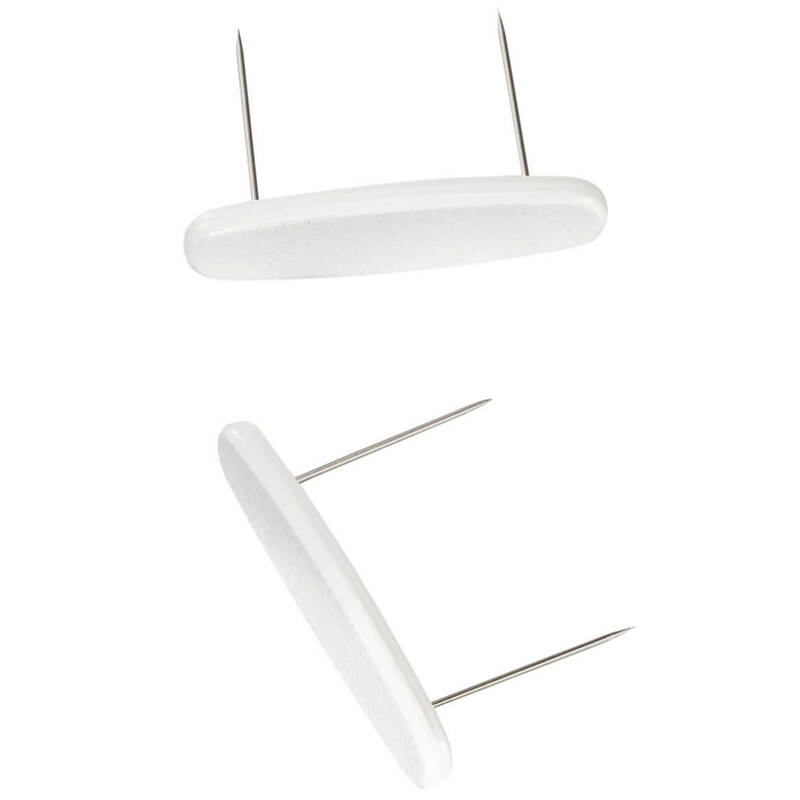 These pins do hold the bedskirt in place, but be sure to place them about 3" from the edge of box spring mattress. They come out when you change the bedsheet and tuck the sheet under. I had to remove the mattress in order to replace the pins. These pins appear to be a real deal for holding bedding in place. However, I found that the pins weren't long enough and they do work their way out. Found no use for them. 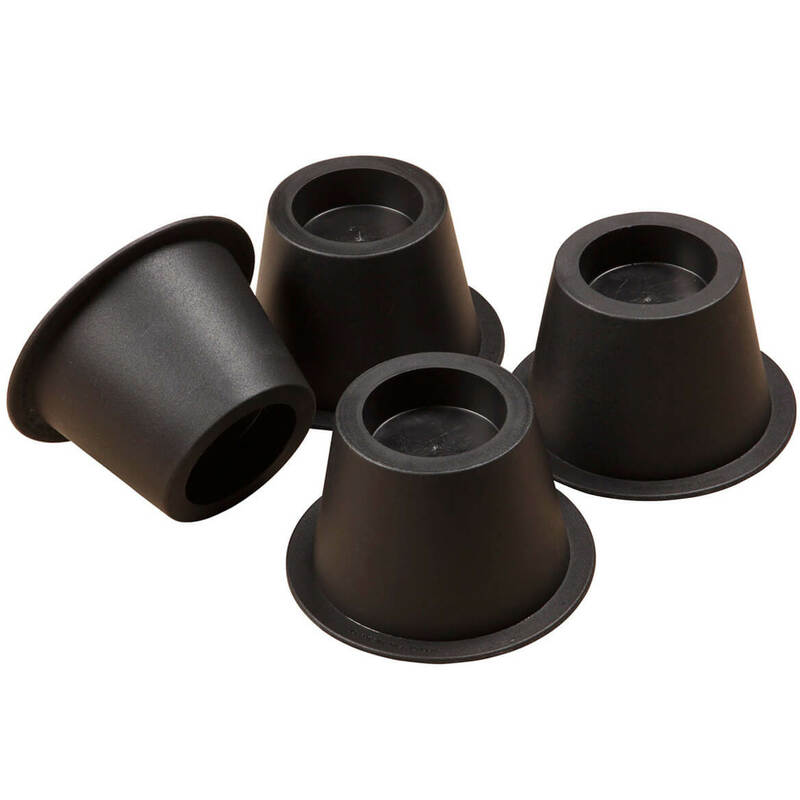 I bought these for my adjustable bed which has a fairly solid base. The "tongs" were too long for the lower mattress and I could not push them straight down. I had to push them at an angle. Might as well try and hold the bedskirt in place with a stick pin. These don't hold at all. They pull right out! I placed these on my bedskirt as Iwas having trouble keeping it in place. Maybe two days later I found my pup playing with one, so I went to check where it came from and found more in the floor. Evediently I didn't find them all that day and the next morning I stepped on one and I had to pull it out of my toe, ouch. In other words they didn't work on my box spring. 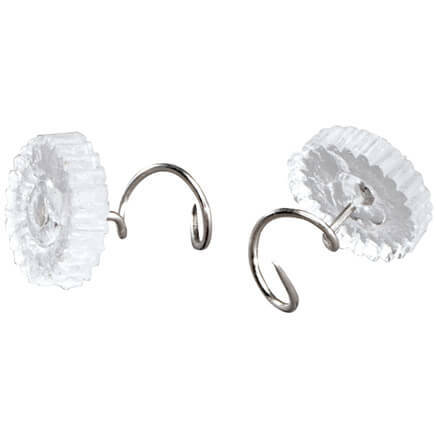 I am finally buying these, after needing them for a long time, to keep the bedskirt in place on our king bed. 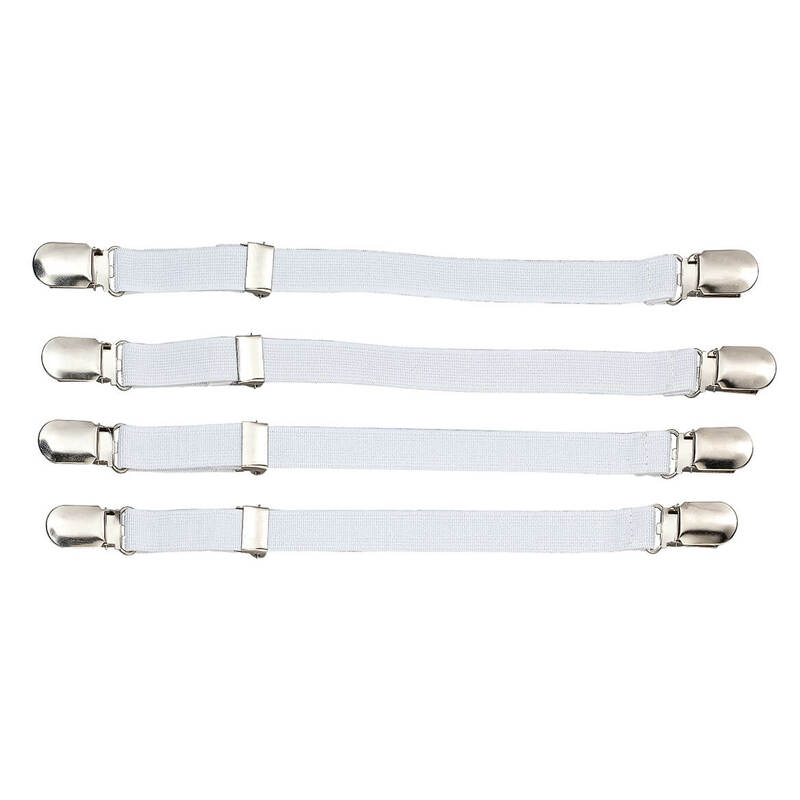 Ordered these so I can stop using safety pins on my bed skirts. Hoping they work as well as I want them to. LOOKS LIKE THEY WILL SOLVE MY SHIFTING PROBLEM. My elastic bed skirt does not stay in place - hoping these pins will solve the problem. I am having trouble with my bed skirts because they don't stay in place. I wanted to try them. to help the bed skirt in place. works great !!! They work very well to keep my sheets from falling out! Couldn't find this item anywhere in stores and the price is reasonable. To hold my bed skirt on. Eager to try because the bed skirt is hard to keep in place when making the bed. I chose this item to hold down my bed skirt. Chosen to help hold sheets in place. My bed skirt won't stay on so I thought I would try them. I have a bed skirt that needs securing. I grew tired of having to remove the mattress to get to the bed skirt for laundering. I bought a new bed skirt, but it needs to be pinned in place. The pins it came with are awkward to use and there were not enough for the job, so I ordered these instead. Want to try to see if it works. Wanted to try them for my bed. I needed some and the sale price was a plus. other items I tried did not work well. this sounds just like what I need to keep my skirt in place. My current bed skirt, which I love, is constantly slipping causing my foot to catch in it when I make up the bed. I bought these with the hope that it will stop the skirt from puddling on the floor which could result in a fall. I purchased the pins to hold a bedskirt in place that is to long on all 3 sides of the bed. These pins are so handy at keeping the bedskirts in place when you are changing the bed. Clear corkscrew upholstery twist pins hold furniture covers, arm protectors, doilies and throws neatly in place—no shifting or fuss! Simply twist in to secure; out to release. Plastic, metal. Set of 24. Each, 5/8" long x 3/8"dia.